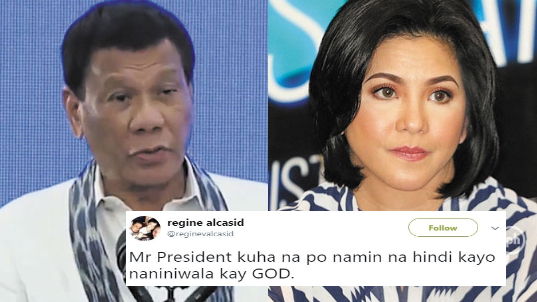 Renowned Filipina singer, actress and record producer, Regine Velasquez have recently drawn ‘mixed’ attention from Netizens of the ‘Twitter – verse’ on her ‘tweet’ meant to condescend the President’s belief on God. Her July 7 tweet was posted as, “Nalulungkot na talaga ako, hindi ako mahilig makialam sa mga ganito pero Mr. President, kuha napo namin na hindi kayo naniniwala kay GOD, Pero marami po sa amin ang nainiwala sa kanya. “Hindi naman po namumulitika si God kaya wag napo natin siya idamay,” captured both unpretentious, open – minded souls and rather bigoted opinions from simpletons who act like they are of great importance in the society. The President, who has drawn flak for his provocative remarks on God, urged the religious sector, the critical ones in particular, to be somewhat ‘neutral’ on their beliefs because of the essence of the Church and State principle. 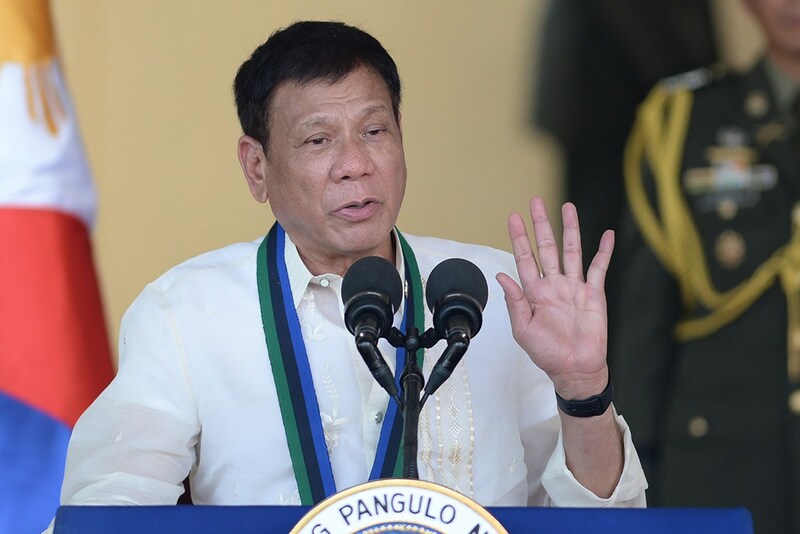 Duterte’s fall – out with the Church widened last month when he called God “stupid” by letting ‘temptation’ ruin his creation. Officials defended the issue by saying that the President’s anxiety rooted from the alleged harassment he experienced from an American priest when he was in high school.